July 2017 aideM Media Minute ! Review Videos and Solar Powered Videos ! I hope you are enjoying your summer ! We have been having fun making some great videos for our partners and clients, but we wanted to have a little fun ourselves and present you our first ever Home Run Derby Video !!! Why are we having a HomeRun Derby ? Good question – we wanted to have a fun day out of the office to make a video, and we wanted to offer you a special deal for our “Online Review Videos”. We also have an exciting update about our #timelapse cameras that we have been using to capture some construction projects ! We have been using solar panels to power our cameras !!!! Now only if we could start channeling solar power to run our entire office, that would be sweet ! Check out the videos below to see what is new at aideM Media ! People are doing their research before they do business with you, they read reviews and check your business out online before they even decide to call you. Our “Online Review Videos” are an easy, economic way to help you show your best online reviews from sites like Facebook, Google, TripAdvisor and Yelp. We can even help you get these videos ranked in the search results. The video thumbnail can show up on the first page of Google search results, and gives you a nice thumbnail, taking up real estate on the search results page. We offer these videos at a very reasonable rate, but this month, we are offering an even sweeter deal on these videos. For every home run and hit we get, we knock the price down. Watch the video to see how low the price goes, or to witness our baseball skills ! With the changes we have seen in the energy industries the past few years, solar power has become more and more affordable. You may know someone who has solar power at their home or business, and are benefiting from the rewards of turning the suns rays into sustainable energy. We have been utilizing solar power on a smaller scale for our timelapse cameras. Over the past year or so, we have been booking more and more timelapse video jobs, mostly for construction projects. These are for long term projects that can last weeks, or even months. Currently, we have timelapse cameras setup, in PA, NJ and NY. We have been constantly looking for ways to improve our operation, and are now using solar panels to run our timelapse camera systems. Check out the video below to get a sneak peek of one of our setups, and a nice view of Buffalo NY ! Thanks for tuning in to the July aideM Media Minute ! We look forward to hearing your feedback in the comments section !!! Typically in our line of work, the time frame after a client hiring us to complete a TV commercial runs 30-45 days from conceptualizing, pre-production, post-production, and final approval. Not so with our recent Rutter’s Chicken Pot Pie commercial. Rutter’s has been a great “long term” client of ours, and we have a solid working relationship with them. When they first contacted us about promoting their “home style” chicken pot pie, we had 2 weeks from that first phone call to upload the final approved spot for airing. Our “marketing department” (we don’t have one-it’s just Derek, Dylan, Brian, Jason, & Dave) pitched several ideas to them. The following day they selected one of our “stories,” and we moved into high gear. Pre-production in this case, i.e. script writing, story boarding, finding locations, hiring actors & support crew (gaffer, sound man, make-up artist), and renting a “senior” scooter, was accomplished in a day. In all honesty though, Derek hired his grandmother and son to act in the spot, and he was also in it. George Winchell is our “go to” guy when it comes to high end lighting, and Dave Cornman, our project manager, has his own pro sound gear. The shoot was scheduled 8 days after script approval, and the final approved spot was uploaded 3 business days later. The whole point to this is that there really wasn’t any pressure at all. We had two weeks from concept to completion. Everyone knew when the deadline was, and we made it happen. No big deal. We do it all the time and we love it! Vote For Your Favorite !!! 2016 aideM Media Video Awards !!! We are pleased to announce the nominees for our 2016 aideM Media Video Awards !!!! We have 3 categories : Best Commercial, Best Website Video, and Best Non-Profit Video. Please “like” and “share” the videos on Facebook to support your favorite !!! The winners will be announced at our Video Award Ceremony on June 9, 2016. Click HERE for tickets . 1. Upload videos to Facebook. -Facebook videos get better traction than YouTube links. 2. Don’t copy and paste from YouTube. -Use Facebook directly. 3. Catch user’s attention. – The videos automatically play when a user scrolls past. -Big opening . 4. Draw them in with text after an exciting first few seconds to get their attention and interest. -Without audio, text will be needed to draw people in. 2015 aideM Media Video Awards !!!! It’s been said that any war film inevitably ends up making warfare look exciting, but Terrence Malick’s poetic, elliptical examination of the Guadalcanal campaign makes it look more like a spiritual crisis than a thrill ride. Released the same year as ‘Saving Private Ryan,’ Malick’s Altman-esque tale floats between characters and brushes up against big ideas with all of the visceral intensity of a cloud crossing paths with the sun, coating the sporadic action scenes with navel-gazing voice-overs and frequently cutting away to the flora and fauna surrounding the invading humans like a defiled paradise. Anyone looking for another ‘Rambo’ flick will be sorely disappointed, but for artistic, contemplative portraits of combat, this one’s hard to beat. ‘Full Metal Jacket’ may be the quotable one, but Stanley Kubrick’s other, less popular war film cuts deeper with its unflinching examination of corruption and scapegoating in WWI. Though it contains several well-executed battle scenes, Kirk Douglas provides the real fireworks as a Colonel trying desperately to defend soldiers court martialed for cowardice after his inhumane superiors order a suicide attack on an unreachable enemy position. Douglas’ hard-as-nails performance, as well as the core theme of innocents paying for their superior’s arrogant power plays, lends the film a timeless quality, so much so that producer David Simon cited it as an inspiration for ‘The Wire’ nearly 50 years after it premiered. The big one. Like ‘Schindler’s List,’ it’s become more than a movie and become something of a sacred rite of cultural passage. 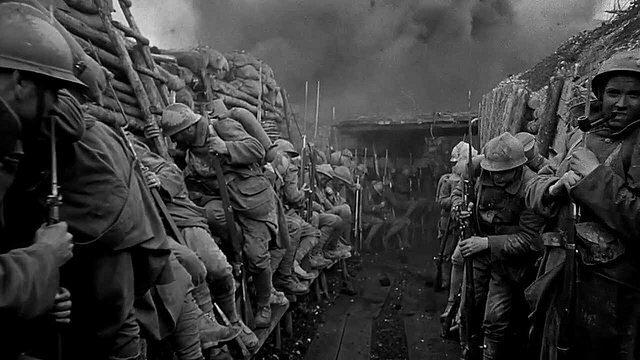 As a work of art though, its battle scenes stand as the most harrowing ever committed to celluloid and its performances capture the simple humanity of ordinary men caught up in the madness and chaos of war. Though no war film can truly embody the experience of war, this one may just embody the war film genre with its mix of shamelessly-uplifting humanism and gritty, no-holds-barred realism. An unfortunate side effect of getting most of your WWII history lessons from Hollywood is that you fail to realize its true scope. To put it more bluntly, you probably see America as the loner cop with flawless aim and everyone else as the reluctant partner who exists to provide covering fire and maybe quip a one-liner once in a while. Thankfully, this European-American movie about a sniper fighting in the Battle of Stalingrad boasts Hollywood-caliber production values and an all-star cast that includes Jude Law, Joseph Fiennes, Rachel Weisz, Bob Hoskins and Ed Harris. Though the love triangle story may feel clichéd, the epic battle scenes and tense sniper duels will have even the most jaded xenophobe rooting for the Russian. Where most WWII films at least put up a façade of somberness, Quentin Tarantino’s rollicking shoot-em-up treats the largest conflict in human history like a nihilistic playground ripe for explosions, verbal acrobatics and humor as black as a well-polished jackboot. Beneath the crowd-pleasing action however, Tarantino slyly inverts or skews nearly every trope that’s become ingrained in the war film genre, from the ‘Helpless Jew’ to the ‘Nazi Brute’ to the ‘Honorable American GI.’ By the time the unhinged, realism-obliterating ending rolls around, he’s managed to both mercilessly pillory and completely re-conceptualize what might just be the quintessential American genre outside of the Western. 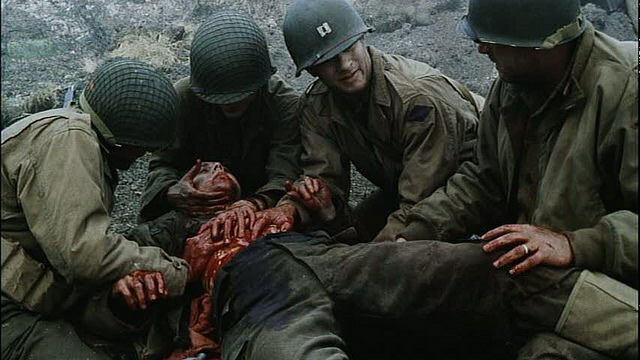 To some, it might look like sacrilege, but for plenty of cinephiles, it felt like a mighty liberation after years of a ‘Band of Brothers’-inspired aversion to irony. Recently, HBO made millions of cash-strapped ‘Game of Thrones’ fans’ dreams come true and announced that, yes, next year you’ll finally be able to subscribe to its streaming service, HBO Go, without shelling out for a cable package that includes Outdoor Channel, IndiePlex and Showtime Extreme. Of course, many of those same cash-strapped fans will no doubt just continue to download ‘GoT’ off torrent sites (it stands as the most pirated show in internet history), but even so, the message to programmers remains clear: if you want people to watch your shows, put them online. As HBO moves into the streaming game, comparisons with top-dog Netflix will inevitably be made, despite the inherent differences in their services. Where Netflix serves up a seemingly-infinite smorgasbord of content in the hopes that anyone from age 3 to 103 will find something they like, HBO targets the ‘savvy adult’ demographic and its original programming enjoys a Black Label-esque level of cultural prestige thanks to a decade-and-a-half of producing a murderer’s row of hits like ‘The Sopranos,’ ‘Entourage,’ ‘Six Feet Under,’ ‘Deadwood’ and ‘Curb Your Enthusiasm.’ Even if it only offers its original shows on the new HBO Go, the sign-up numbers will go through the roof. Following Netflix’s lead and keeping those numbers growing however, may prove more elusive. While HBO’s back catalog ensures a healthy subscription rate, what will happen once everyone’s binged through the last episode of ‘John From Cincinnati’? At the end of the day, the numbers will probably prevent HBO Go 2.0 from matching Netflix’s 50 million subscribers. Netflix boasts thousands of movies, while HBO Go features barely 100. HBO could make more movies available, but at the end of the day it will still be, at least for now, a premium cable channel dipping its toes into the streaming market. 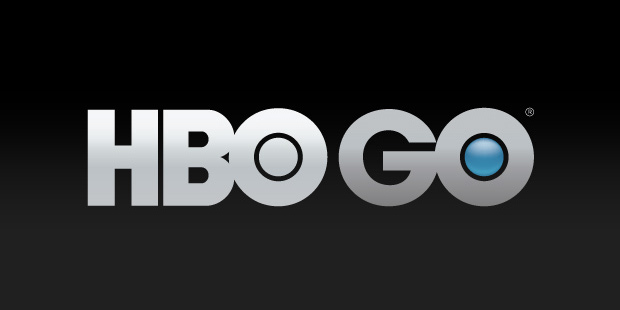 Still, the question must be asked: Could HBO Go one day become HBO Period. As hard to believe as it may be, there are plenty of video hosting sites out there besides YouTube. You may have heard of some, like Vimeo and Sprout, but assumed they were just YouTube clones with similar setups and mechanics. 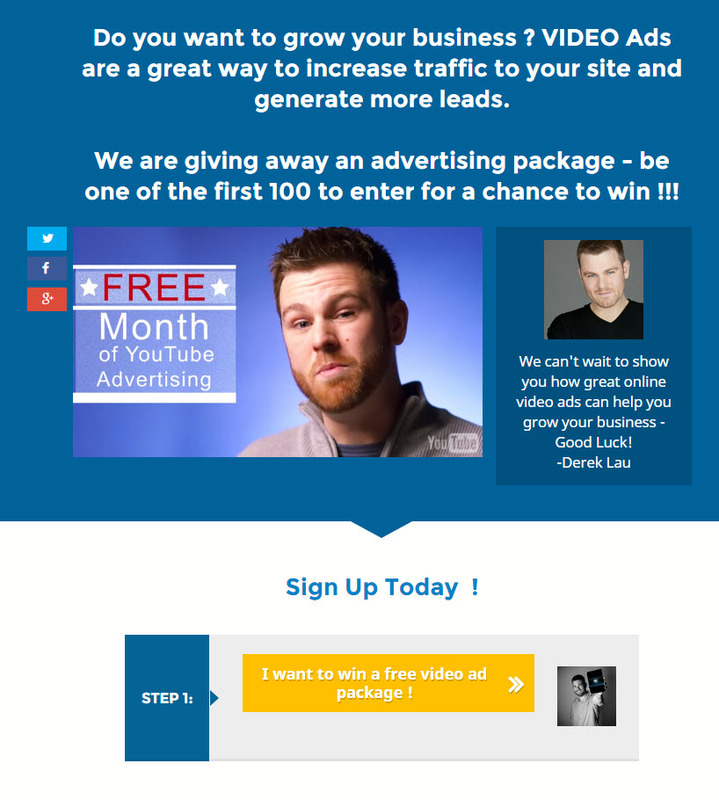 Well, the truth is that each video hosting site has unique features and finding the one that’s right for you can be a great boon to your business. Vimeo, the most popular YouTube alternative, has built a reputation as an outlet for serious creative work, sort of a boutique approach to YouTube’s strip mall approach. Unlike YouTube, it charges for a premium account. 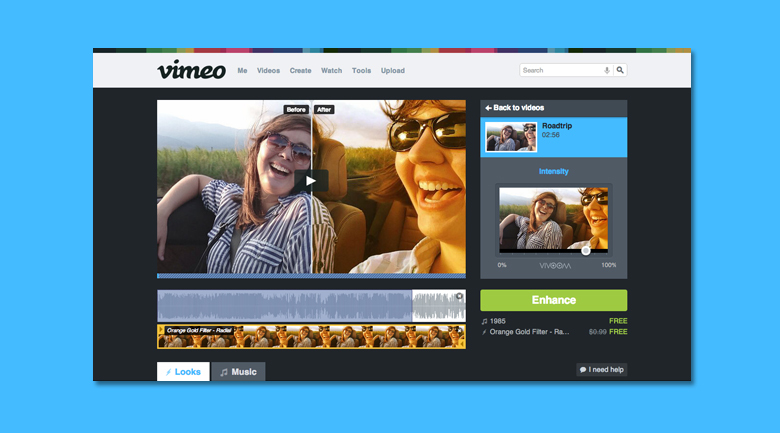 For $199 a year however, a Vimeo Pro account allows you to access analytics programs, disregard time limits and upload videos in HD. Most impressively, Pro accounts allow you to collect ‘tips’ of up to $500 from your viewers via PayPal. For a business, analyzing video views and encouraging post-video action are key and several hosting sites have made a point of maximizing options in these areas. Sprout Video allows you to pinpoint a viewer’s general location and examine how much of the video they watched, as well as add email links and call-to-action buttons. Wistia also allows you to track viewer activities, but takes the system a step further and lets you quantify your entire library’s performance over time. 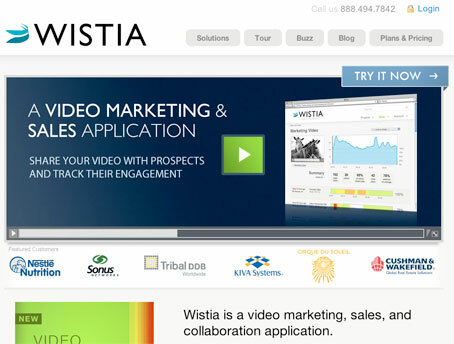 Wistia also allows your videos to be viewed on Twitter, a definite plus in our mobile-centric world. As with all business matters, its best to examine all of your options for video hosting and learning their pros and cons. Contact aideM Media today and let us help you spearhead the video campaign that’s right your company.